Tested & Proven Procurement Negotiation Techniques, Strategies & Tools that Help to Negotiate Successfully Without Being a Pain on Suppliers’ Back! ...a dangerous myth that could have DISASTROUS consequences for anyone who believes it. Buyer - Your Price is Too High? Supplier - Wow, we would not make any money at that discount. I can give 6% discount - Is that OK? Buyer - No, no, that’s still too high? Supplier - I can offer our best price for you only at 8% discount. Shall we get this signed? Buyer - No that’s still too high. At the least I want 12%. Supplier - I’m sorry I can’t do that. However I’d like to help you, let’s meet halfway through at 10% discount. Buyer - Hmm, OK I think I can live with 10% discount. Supplier - You know, you really drive a hard bargain. In the best case scenario buyer is happy that got 10% discount, but it’s likely the supplier had already included an extra 10% in the initial quote, and got what he wanted anyway. You would not have gotten a real 10% discount, unless you really knew what you were negotiating for. Or if you negotiated on price alone, without considering other items that will probably cost twice as much after you’ve signed the contract. … And in a worst case scenario, where the Supplier offers less than what the Buyer was expecting, but more than they could. These happen because buyers are focused on the wrong thing - focusing on ‘banging” the supplier for a lower price, because they don’t know better. But there’s a different way to negotiate effectively and successfully so that you get more than just a lower price and at the same time without being a pain in the neck for the supplier. At Purchasing & Procurement Center we welcome about 70,000 plus procurement executives every month as visitors to our website and 20,000 of them are looking for ideas on how to best negotiate with suppliers. Whether it is about how to prepare for negotiations, or how to write an effective negotiation letter to suppliers to get their expected price without sounding needy and being a pain in suppliers neck, or how to answer difficult supplier questions like “what’s your budget” or “who are the other suppliers bidding for this project”. I would like to rate it 10. The contents are well organized. The most relevant part for me and my company is "Prepare, prepare, prepare". Great job - a 9 out of 10 from my perspective. I like it because it not only tells the reader how to prep for a negotiation but to be realistic in what can be achieved. The Effective Procurement Negotiator E-Course is a result of selected strategies and tools delivered for clients in a normal training class. We prepared and recorded selected contents covered in the course and now are making it accessible to all procurement professionals worldwide. Dozens of items that can you negotiate apart from price so that suppliers have incentives to work with you! 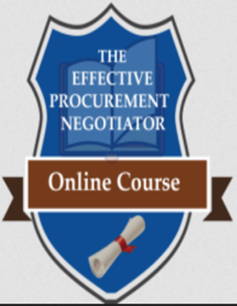 Why Enroll in The Effective Procurement Negotiator? Most Buyers have been ‘trained’ to be efficient - issue Purchase Orders, chase suppliers to deliver on time and get that ‘damned’ price the boss/company is looking for. Efficiency is doing things right; effectiveness is doing the right things. There is surely nothing quite so useless as doing with great efficiency what should not be done at all. What you really need to negotiate for? These are examples where you learn to look at the bigger picture rather than just ‘parroting’ worn out phrases like “your price is too high” or “give me 10% discount”. We created and collected our best learning and development materials and tools to come up with a quick, practical and realistic online training for new and seasoned procurement professionals so that to make you a successful negotiator. We practice effectiveness ourselves as the course is not going to waste your time by reading hundreds of pages, but only learn in short videos principles and strategies that you can use immediately after. That’s why each video is less than 10 minutes long so that you can ‘absorb’ one ‘chunk’ or one small byte and then apply that in the next negotiation. What This Online Course Is Not? This is not an academic online course with dozens or hundreds of hours of learning that seldom if ever, any working professional goes through! We developed and collected the top 20 percent of the most valuable negotiation strategies and practices that procurement executives need for successfully negotiating with suppliers. You are busy - in our experience people can’t find even half an hour a week, let alone longer. That’s why total time for this course is less than 4 hours, including brief reading materials and short videos between 3 to 10 minutes, tools & templates so that you can learn something in less than 10 minutes and then go back and start getting quick results. At times you can get results immediately, for example how to negotiate effectively and get the supplier to come back and offer more discount than you thought of asking. All within 1 day - by simply knowing how to effectively ask for a supplier cost breakdown with our 7 step process. This more often than not results in the supplier either giving a cost breakdown (which you can use to negotiate further) or simply giving in to your negotiation request. Other times it might take days or weeks or even months and longer as in when working to build a strategic relationship with a supplier rather than a transactional one. This course does not cover everything about procurement negotiations, rather concepts that are most important to know and use. It is not about how much you learn, but about how far you can use what you learn. And that’s where The Effective Procurement Negotiator excels, since it gives you practical and realistic knowledge and tools that are simple, quick to use and very effective, that you can use in real life, regardless of your experience or seniority in procurement. As this is a practical e-course there is no fluff or unnecessary materials ‘just to fill the void’ with non-value add information. You’ll find that the materials are straight to the point with knowledge and strategies that you can use right away. 3 ready to use templates. 2 - What to Negotiate Apart from Price! Step 2 - What Do You Really Negotiate For? Step 3 - Understanding the Supplier! Discover how much $1 Saved in Procurement Equals in Sales Revenue. 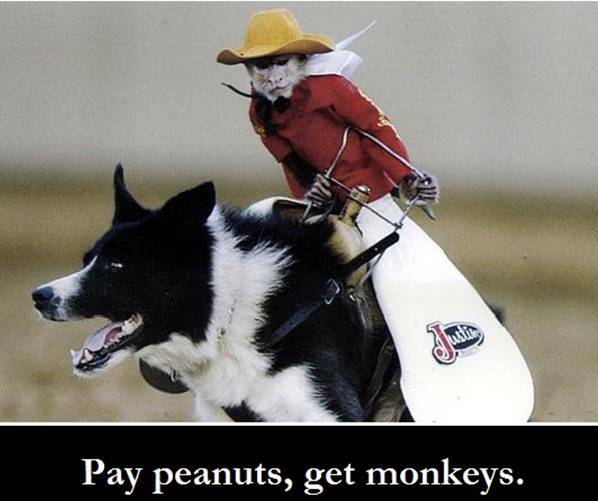 After this you will never see procurement in the same way. Show then that each dollar you save from your negotiations has a much higher impact on the bottom line. Learn how to classify suppliers into 3 groups and how to manage each group, so that you focus your negotiation efforts only on those suppliers that really matter. In the second part we will show how you can use an excel spreadsheet to do your own ABC/spend profile analysis. The one thing buyers shouldn’t do when negotiating, illustrated with a real life case of a buyer called Jim. Find out when negotiation really start and what is positional negotiation. How often such negotiations are use and whether such an approach is worth or not. Learn the difference of positional vs principled negotiations and how to take it one notch up by inventing new options that neither buyer nor suppliers might have thought before. Whether buyer or supplier these 9 persuasion principles are a must to know. Use them when dealing with suppliers or recognize when suppliers are using them on you. Many of these mistakes are done even before negotiations start. Learn what are they and how to avoid them. What is your Budget? or Who are the other suppliers that are bidding for this project? Learn a specific process that includes 7 steps that will get almost every supplier give you a breakdown of their costing and how they arrived at their price. Use this to negotiate each item separately. - Worst case scenario you have a tight documentation showing that the price increase was inevitable. You have proof, evidence and facts for your top management showing that you did all you could to resist the price increase. When you’re too busy with issuing RFPs, following up on supplier payments, managing contracts and more you will not have time to negotiate effectively. Learn 2 strategies on where to focus your efforts for negotiations. Discover that there’s only 1 thing you need to negotiate with suppliers. This will help to identify the right requirements from your internal customers as you’ll ask for this 1 thing from them as well. 3 Questions to ask suppliers to truly understand how keen they are on doing business with you. Learn 5 Essential Practices that you should adopt in your negotiations whether you negotiate alone or have a team with you. How to ensure that both you and your supplier are clear on what was agreed and starting the supplier-buyer relationship on the right footing. Considering that our other clients have paid USD 10,000 or more for in-house trainings covering these core strategies or at the least USD 2,000 when attending public courses plus with all templates and tools included, USD 1,000 would be a fair price for anyone to access this online learning. Especially considering that many procurement executives can actually include this as part of their training budget, $1,000 would be very reasonable. If you’re not thrilled after going through the course, just tell us. Call, email or message us - You’ll get a full “no questions asked” refund. You’ll either love everything about this course or You’ll get it for free. We provide the tools and strategies with The Effective Procurement Negotiator! 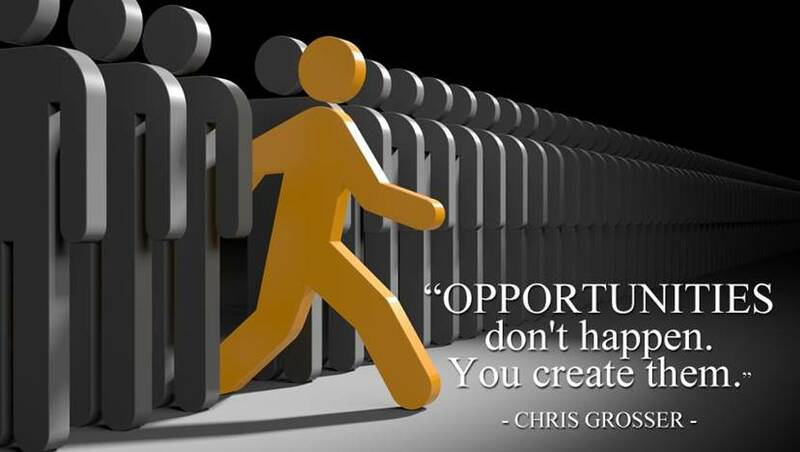 Stand Out from the Pack & Create Your Own Opportunities. This course is completely online. Once you enrol, you will get a username and password to access the program online. A: The Effective Procurement Negotiator is best suited for procurement executives who deal with supplier sourcing, qualification and selection and review their offers. While the level of this course is basic to intermediate, many of the strategies might be new to even experienced executives. For example we’ve found that most do not have a process at all when it comes to negotiating and resisting price increases or asking and getting supplier price breakdowns. That’s why this course will be enlightening for both the new and experienced procurement executives. Q: Is this a Certified Course? A: No, this is not a certified course. Certification involves exams or assessments. This is a practical online course for working adults that are looking at learning strategies on negotiating effectively with suppliers, without exams or assessments at the end. However we award at the end a Digital Certificate of Achievement which confirms that an individual has completed successfully all online modules. Q: How Valuable is Your Certificate of Achievement? A: The certificate itself is valuable in the sense that it shows that you are focused on your own skills-building and professional development. That usually makes you stand out from the crowd. What's far more valuable than any certificate, however, is the actual knowledge you're going to receive when you take this online course and complete it. You will know how to professionally negotiate with suppliers and show bottom line results whether it is lower prices, better value or lower total cost of ownership. Q. Are there any special offers/discounts? A: At this time there are no special offers or discounts available. Fortunately we have priced our online courses very reasonably so that they are really affordable to all. Q: How long do I have to complete the online class once I am enrolled? A: You can move at your own pace! We understand that life happens, and that just because you enroll today that doesn't mean you'll be able to finish (or even start) the online course this week. And that's ok! That’s why we give 12 months unlimited access for the online course. Also what we find is that many individuals go through the class quickly first and then come back to review each video later on, especially before doing actual negotiations. We recommend that you watch at least 1 video per week and use what you learn in your day to day job, so that you can build skills steadily. Q: Is there any guarantee if I’m not happy with the course? A: Yes, there is a 30 Days You Must Be Thrilled No Questions Asked Money Back Guarantee. If you’re not thrilled after going through the course, we don’t deserve your money. 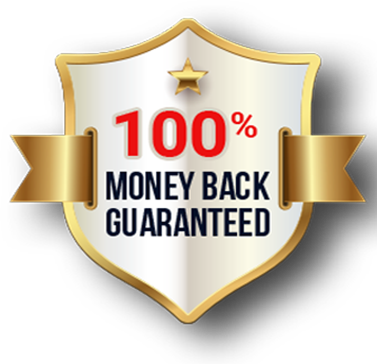 You can simply email us and the refund will be made back to your credit card.